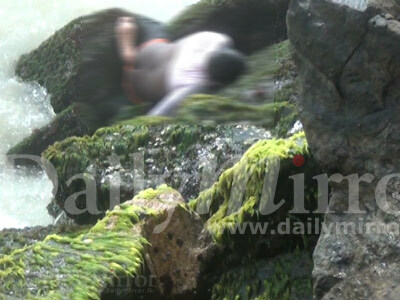 The rough seas off Bambalapitiya made it difficult for the body found floating to be brought shore and it remained in the sea for more than six hours. 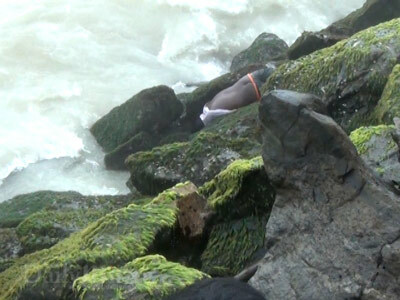 The body, which was later identified as that of Pathum Fernando, a 22-year-old resident of Indigahapitiya in Ja ela, was brought ashore by an unidentified individual and left on a pavement nearby. Kollupitiya Police arrived at the scene after being informed by a resident of the area. Police said their preliminary investigations revealed that the victim had been employed at a private bank in Colombo 3 and had allegedly visited a customer in Wellawatte that morning. Police are investigating the tragedy on the basis that the youth might have died under suspicious circumstances. What's wrong with people. No attempt to take the body off the water.